For years I have been searching for the best program to deliver overall wellness…not just for my patients, but for myself, my staff and my family. Personally, I was committed to continually improving my own health steadily each year. I knew I didn’t want to go through the rest of my life physically aging every year the way so many become resigned to do. I have known many people who despite the inevitable march of time, manage to stay young in spite of it… not just looking young, but living a youthful, active and vibrant life. I knew I wouldn’t be satisfied with anything less. I also knew that this should be doable for my friends and family as well. Over the years, I have reviewed many, many programs, looking for one that incorporated all of the necessary components of true health, not just weight loss. Weight loss by itself is not health. We all know plenty of skinny, unhealthy people. Many people in losing weight unfortunately have also lost energy, strength and health. This is not only undesirable, it is unacceptable. I am happy to tell you that my search has paid off. After investing a lot of hard work, energy and resources, the 8 Weeks to Wellness program will be available here, at Pinnacle Health Solutions. There are over 40 offices in the country currently helping patients through this approach. 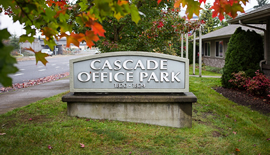 Our office is the only 8WW office in Washington State. This program is truly fantastic. Our entire team (Dr. Christensen, Betty, Kris and I) have achieved significant health benefits using this approach. 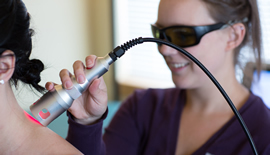 It was important to me that we personally were successful with this program before we offered this to our patients. Betty, Kris and I just returned from Pennsylvania where we received some advanced 8WW training. This experience was a true gift. We saw, first hand, how this program coordinated many powerful healthcare approaches to finally connect the dots for so many patients. At the end of the weekend Betty said it best – “Wow! We are really going to help save lives.” We all passionately feel that way. Nutrition. You simply have to have the right fuel. There is just no way around this. We will show you what, when, where and how to eat, and we’ll help hold you accountable. You will also receive 8 weeks’ worth of the best meal supplements to accompany your new eating plan. You can only get these from a doctor. By the way, one of our goals has been to minimize the supplements required, stressing the right foods first. This program achieves that. Personal Training and Individually Tailored Functional Fitness. For most people, exercising alone does not work well. How many gym membership and pieces of home exercise equipment have we all purchased in our lifetimes? Perhaps we get some initial benefit only to quickly plateau or, even worse, we are injured and forced to stop and regress. Our personal trainers will safely push you so that your body changes quickly and more efficiently than you thought possible. Not only will they help you lose weight and build strength, they will help you improve your functional fitness by tailoring your program based on up to date assessment from our doctors and massage therapists. Your weak links will get stronger! This comprehensive and coordinated approach is a very unique and critical feature of the 8 Weeks to Wellness program. Our personal trainer, Jenny Brogdon, is a true and remarkable find. She is an Olympic hopeful who will compete in the Olympia high jump trials this June. She is very personable and passionate about health and has a gift with helping people with different abilities and goals. Chiropractic. Without a healthy nervous system and a functioning muscle system you cannot truly be healthy. Stress stored in the nervous system can adversely affect your entire body. It absolutely must be removed for you to heal, move and function at your best. Massage Therapy. Massage reduces stress and soothes sore muscles. You might not think you need this, but wait until you start moving like you have never moved before. Massage also helps restore healthy circulation and communication throughout the body. Through our interview process, we have met some very talented and committed massage therapists. We look forward to your knots and tight muscles melting under their talented hands. Meditation. A quiet mind decreases stress and increases function and health. We will show you how to reap the benefits from this practice in only a few minutes every day. Accountability. Every professional you encounter through this program will be checking to make sure you are on track and completing all the necessary steps to maximize your success. All of these components are essential to achieving and sustaining your best health. If you are looking to reclaim your true health, I highly recommend you contact our office to learn more. We will be hosting free introductory classes twice per month at our office. 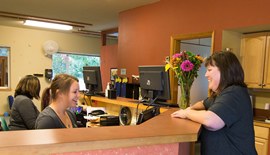 Please call our office now and let us know you will be coming – (360) 705-0900. If this time does not work for you, let us know and we will place your name on a waiting list for a future class. We are committed to helping make this an incredible year for you.